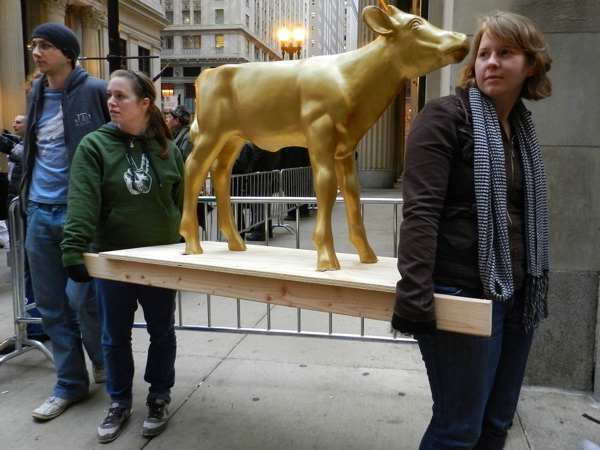 As a culture, our golden calf is young people: their presence, whims, fashions, and thoughts. Advertisers certainly know this. MTV does. The head of MTV once said, “We don’t shoot for young people, we own them.” Everyone wants young people. The church is no different. At one point in the deliberations, someone actually said, “I want everyone who wrote this legislation to stand up so I can see who they are.” Read: it matters little whether or not the legislation is good or effective, it matters if the people who wrote it look like me. To be certain, we are a worldwide communion, a big-tent denomination if there ever was one. We have many voices that need to be honored, many constituencies that are a gift to Christ’s church and the Wesleyan movement. I had enough schooling to know that social location matters. I don’t think it should matter more than faithfulness to Christ or zeal for fulfilling his mission, but that is a separate debate. One of the strangest things in all of this has been the idolatry of the young in our church. I’ve seen it at all levels. “Why aren’t there more young delegates at General Conference?” they ask. Well, to get elected to GC involves being known by a lot of your peers, and this likelihood increases as one is around for longer periods of time. Most troubling is the reversal of the locus of wisdom in our culture. Ancient societies and even Americans of recent generations revered the old; we looked up to their witness, honored their accumulated knowledge, deferred to their experience and listened to their voices. That day is gone. We want the young: to know their thoughts, to have them present, to follow their lead. As a young pastor in a church that has few of them, I’ve seen this repeatedly. “What do the young adults think? ?” “How do we get more young adults? ?” We are desperate for young clergy and desperate for youth and young adult representation in the church. 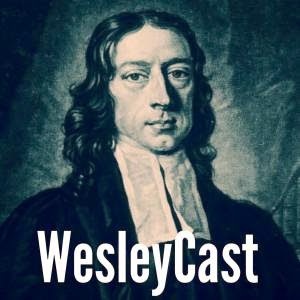 Granted, the Oxford Methodists were young when they got going; however, anyone who knows the story of the Wesleys is well aware that they were very unusual 20-somethings by the standards of any age. So why all this fuss about young people sitting at the leadership table? Frankly, I don’t get it. I’ve been a pastor now for just under three years and I have very little wisdom about the church to share. I’m still learning, studying, figuring out how all this actually works. A big deal was made of GC 2016 being after school was out so more young adults could attend. For what? Honestly, other than for the sake of appearances, what are 20-somethings going to contribute? (Again, note: I am one of them.) Let the conferences send their best and brightest, their wisest folks, most effective in a diversity of roles: large and small church, campus ministry, chaplaincy, peace and justice ministries, district superintendents. That is a range of experience that would matter. Those are gifts that could serve the church. What we’re doing now is little more than parroting the worst in tribalistic American politics. Would you want a 19-year-old brain surgeon operating on you? Would you want a 26-year-old to be President? Me neither. Nor do I want a large number of 20-somethings, who have proven to be effective at little (if anything), to be making decisions for the worldwide communion of people called United Methodists. You’re right. I think for the past week as I’ve been interacting with these twenty year olds, I went back into that activist mindset that most people grow out of when they hit thirty. I still don’t know what the hell I’m talking about and I’m 34. I’m not yet 30, so I guess I will have to be patient! Thank you for the like. Labels, labels, labels. The UMC is not going anywhere until we toss the labels and deal with people as people, not as members of tribes, each with its own label. Until we move past labels, we won’t move. Let the label be ‘disciple’! Thanks for the post. I think where a lot of this emphasis comes from is the idea that we talk a lot about missing young people from our congregations but when they come, we don’t do much to listen/adapt to try and retain them. Same with the general church – if we say we want young people to be part, then we have to listen. Our median age is so high right now that we need to do some things differently. Once you’re in for 15 years, it’s harder to think differently. But you’re right that (some) wisdom comes with years and experience. I’m smarter now at 38 than I was 10 years ago. Check out Richard Rohr’s “Falling Upward” for thoughts on maturing, it seems to connect with this discussion. Thank you for your thoughts, revjoe. I think of how much I’ve grown in just a few years of ministry, and it’s wild. I hope one day to be a wise, old pastor. I know a story where one of our older conference leaders suggested to some of the youth that they join one of our smaller dying churches and revive it. Unfortunately, they didn’t take him up on it. It is too easy to talk the talk about empowerment and inclusivity, but it is difficult to walk the walk of maintaining a faith community for the long haul. Creed, it seems a tall order to ask youth to revive a dying church. A dying church has to want badly to be revived or else – if you will pardon my use of cooperant grace – even God can’t renew it. Sadly, many churches would rather die than change. No, the church was at that point extremely small. It could have been a showcase for youth involvement, but the youth chose to stay with their individual churches. That is an okay choice, but you lose some of your right to complain when you are given your own turnaround opportunity and you don’t want to take it.